Na této stránce nechceme poskytovat takové informace o cestování do Barmy, které rovněž jednoduše získáte v jakékoli cestovní agentuře. Zatímco většina obchodních společností má zájem o vás, protoze jste platící zákazník, my chceme zaměřit vaši pozornost na to, jakým způsobem turistika ovlivňuje život a prosperitu širší barmské populace. Potenciální vliv turismu na rozvojové země je nezpochybnitelný. Otázkou ale nicméně je, zda zisky ospravedlňují ztráty, a zda turismus podporuje politické a společenské změny nebo naopak prohlubuje nerovnost mezi územními celky, regiony, etnickými menšinami a společenskými vrstvami. Místní lidé: Lepší orientace obyvatel Barmy v otázkách turismu a větší sebedůvěra při obhajobě svých práv jsou v zájmu větší angažovanosti místních v turistickém odvětví. Společné příběhy: Rostoucí povědomí o situaci v Barmě podpoří odpovědné cestování do Barmy. Jak to v Barmě opravdu chodí, Vám poodkryjí příběhy cestovatelů i místních obyvatel. Vaše volba: Jako cestovatelé mířící do Barmy byste měli být dobře seznámeni s tamní situací. Konečná volba je jen a pouze na Vás. 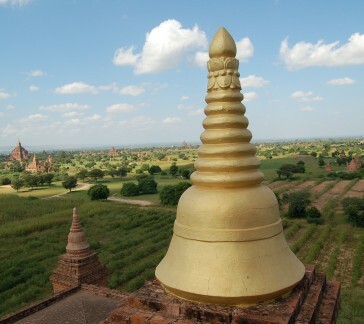 Without legislation, touristification of Myanmar has already begun. The country’s tourism infrastructure was strained by half a million arrivals in the first half of 2012, compared to nearly 400,000 in 2011. In September 2012, the Ministry of Hotels and Tourism of Myanmar signed the Cambodia, Laos, Myanmar and Vietnam Tourism Cooperation (CLMV), which aims to welcome 25 million visitors to the region, with four million ‘exchange visitors’ in each country, over the period of 2013-2015. The CLMV contradicts the responsible tourism policy committed by the Ministry in the same month and ignores the ‘value over volume’ advice given to the Ministry by the UNWTO. Since the ruling Union Solidarity and Development Party (USDP) is widely expected to be voted out in the 2015 elections, Myanmar’s membership of the CLMV is also seen as the former generals’ attempt to ‘make hay while the sun shines’. Tourism came to Myanmar during the time of ‘high colonialism’ and saw its peak in the 1920s when the famous Irrawaddy Flotilla Company (IFC) was carrying up to nine million passengers a year. Since independence in 1948, the country’s tourism sector has never been developed due to civil war during the parliamentary era (1948-62) and closed-door policy by the socialist regime (1962-88). In the 1990s, the junta that succeeded the quasi-socialist regime set tourism high on their development agenda, however this agenda was shunned by the international community due to evidence of human rights violations involved in tourism infrastructure projects until 2011. Mass tourism development in Myanmar is therefore in its infancy, facing an array of challenges, particularly in light of responsible tourism commitments. For Professor Harold Goodwin, responsible tourism policy is about ‘making places better to live and better to visit.’ It is about ‘taking responsibility for achieving sustainable development through tourism (…) it is about identifying economic, social and environmental issues which matter locally and tackling them.’ It is understood that responsible tourism benefits the local communities in the countries which have reached a certain standard of human rights governance. Given Myanmar’s structural corruption, crony capitalism, widespread poverty, ongoing human rights issues, communal violence and civil war, it is doubtful if responsible tourism will deliver its noble promises, sustainable development and social justice, even if it is set to become a driver for economic growth for Myanmar in the coming decades. Through a human rights paradigm, responsible tourism affords responsibilities to all the stakeholders in a destination country, with a focus on the social, economic and cultural rights of the destination level communities and their environments. 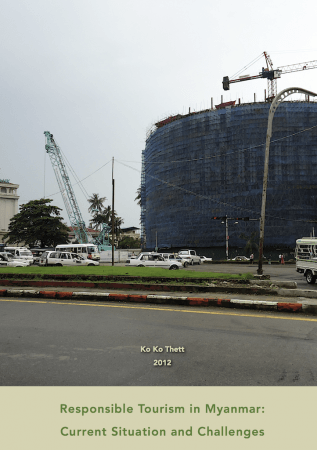 From toll roads, roadside petrol stations and telecommunication companies to hotels and resorts, crony businesses now dominate every sector of economic life in Myanmar. As the Myanmar government has opened the sluice to mass tourism, crony businesses are competing with foreign companies in tourism investment. Given their interest in tourism infrastructure, it is likely that Myanmar tourism industry will be dominated by crony businesses and foreign investors in the near future. Similarly, independent travellers and adventurers will still find their travels in Myanmar restricted due to the country’s security problems. Responsible tourism in any place is welcome. However, the current Myanmar Responsible Tourism Policy may undermine the ultimate goal of responsible tourism, sustainable development, if it continues to favour the current Myanmar economic dynamic dominated by crony capitalism at the expense of political, ecological and cultural sustainability. It is doomed to fail from the start if the related Ministries continue to use responsible tourism as a cash cow to attract investment and tourists into the country. The efficacy of the Myanmar Tourism Policy can be determined only when each of its ‘action points’ is set in a time frame for effective implementation and evaluation by the Myanmar Tourism Master Plan. The current Myanmar Responsible Tourism Policy presents no recommendation or makes no commitment on the manageable volume of tourists in light of Myanmar’s tourism infrastructure development over the next few years. It is not country-specific, it is generic and can be applied to any country developing a tourist sector. Despite ten workshops held at major tourist enclaves, the policy cannot be classified as location-specific and inclusionary to a bottom-up process. The development of tourism as a national priority sector has yet to be legislated. No timeframe is set to implement 58 action points, the priorities of each one favour the state and businesses, not the wellbeing of destination level communities. Echoing UNWTO advice, the report argues that the key to responsible tourism is not volume but value. 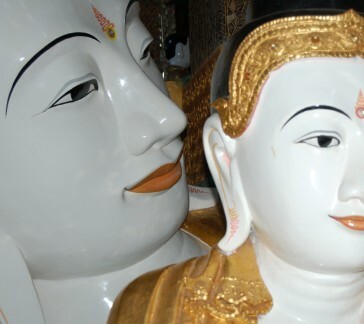 ‘Visitor management’ is paramount if tourism were to be responsible in Myanmar. Given that China and India are set to become the world’s largest mass tourism export countries, tourism infrastructure development must focus on managing and facilitating a cross-border tourism market. Special attention should be given to the assistance and empowerment of small and medium enterprises in Myanmar’s tourist industry. Other key actions of top priority include area protection, industrial regulations, local sourcing, code of conduct for tourists and businesses, environmental impact assessment and sustainability indicators for each tourism development project. “Debate continues to rage about whether or not tourists should visit Burma and risk giving money and legitimacy to the Burmese military regime. We have fed into this debate by exposing atrocities such as sexual violence, torture and murder by the regime’s troops in areas of Shan State out of bounds for foreign visitors, and urging the denial of all forms of support for the regime while these abuses continue. “Many travelers are increasingly concerned about ethical aspects of tourism. While it can serve as an educating, connecting and emancipating force, it might also leave indelible footprints from a powerful, sometimes ruthless industry, when recreation outweighs liberation. A particular, passionately disputed case is Burma, a country suffering for decades under military rule. In Burma, the ruling junta would not be able to continue exploiting its people without strong foreign political and economic support. For a dictatorship where an estimated half of the state budget goes to the army and is spent to maintain the luxurious life-style of the ruling families, it is not surprising that the question of investments becomes an issue of eminent ethical importance. The democracy movement is divided on the question whether tourism to Burma would rather empower small business, encourage the Burmese people and help to circumvent the junta’s embargo on information or, on the other hand, inevitably feed the Generals, while any beneficial impact entirely misses the ethnic minorities living unseen in Burma’s officially declared no-go areas. Moreover, the role of tourists as righteous envoys of freedom and human rights seems more than doubtful, considering the nature of package tours and travelers escaping their dull lives in the quest for pristine beauty and unspoiled exoticism. The famous advice of the Burmese democracy icon Aung San Suu Kyi, to visit Burma only later during better times, bears the risk of being outdated, having failed to foresee the regime’s durability. So, how to respond to the conundrum of whether to go or not? Burma. The Alternative Guide by Elena Jotow and Nicholas Ganz does not try to answer this question. Rather, it chooses to offer a comprehensive picture of Burma, comprising “the richness of culture” as well as “the tragic tales recounted by refugees”. Complementing the information on culture, people and tourism sites with what tourists’ eyes are not able to see is certainly a promising approach to escape the moral pitfalls. It is justified that the authors decided to limit the travel-related chapters to places that are officially permitted to tourists. Dedicating more space to hard-fact travel aids, however, would be worth consideration for future editions. This comprises preparatory arrangements like visa applications, vaccinations and malaria prophylaxis, dietary precautions, addresses of Western embassies, availability of telephones and Internet and a handful of town maps that help you find your way through the streets with their Burmese names, as well as some hints about expected behavior in pagodas, tipping in restaurants and dealing with unyielding taxi drivers. Particularly for the purpose of responsible traveling the reader would appreciate getting some practical advice on how to avoid junta-related business. 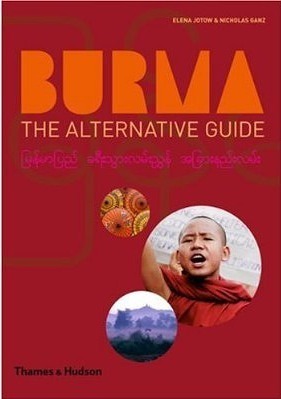 What makes this guide outstanding from others is its valuable chapters about the invisible and often ugly sides of Burma, without which no guide could possibly reach beyond a shallow tourism facade. You find informed articles about the “Saffron Revolution” and the situation of selected ethnic minorities. Ethnic armed forces have received much of the authors’ attention but their presentation reveals a debatable inclination to apply softer standards here than actually needed. Also, the selection of images, obviously stemming from the armed groups’ self-promotion kits, would certainly gain by a critical filtering with journalistic rigor. However, among the highlights of the background information range the chapters about Burmese migrants and political prisoners. Now that the renowned Guide to Burma by Nicholas Greenwood has long vanished from the shelves, this book has the best chances to become a new benchmark for ethical traveling to Burma. Offering up-to-date and unvarnished information, the Alternative Guide by Jotow and Ganz fills a gap where other travel books have failed to explain the obvious contradiction between gold-covered pagodas and the use of bullets against unarmed demonstrators. Although it does not solve the question about traveling or not, even those who choose to stay at home will value the book as an enjoyable step towards understanding Burma. 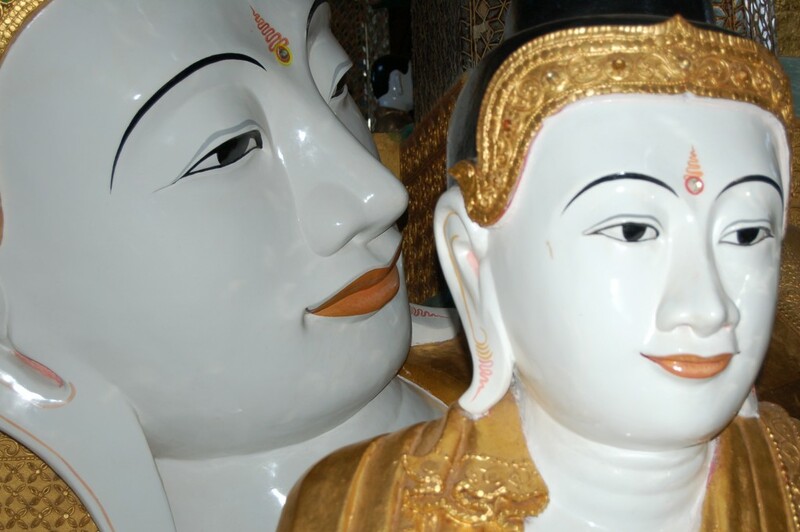 Check out our website about responsible travel to Burma: EcoBurma.